A group of pilots help those in need, by offering vital flights to the hospital, no matter the distance. On a recent Wednesday morning, things were looking pretty routine at the College Park Airport. Fog filled the air, and dozens of planes sat covered on the wet tarmac. Other than the sound of country music playing from a nearby speaker, things were quiet. That’s when a small plane came into view over the treeline. It was a small white airplane with blue and brown stripes. In the back right corner read the words “Compassion Airlift.” The two pilots were Mike Pearson and Jeff Douglass. They pick up patients to fly them to hospitals free-of-charge. But despite the passion for flying, Pearson made one thing very clear. 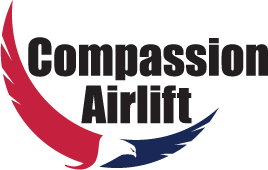 The two are pilots for Compassion Airlift, a company that picks up patients, and flies them to far-off hospitals for treatments, surgeries, and even appointments. They do it completely for free, raising money for the program through donations. On this Wednesday, they were helping a woman named Diana Harris, who just finished her fifth back surgery. “It was horrible,” she laughed. Harris was in high spirits, but she was no doubt in pain. 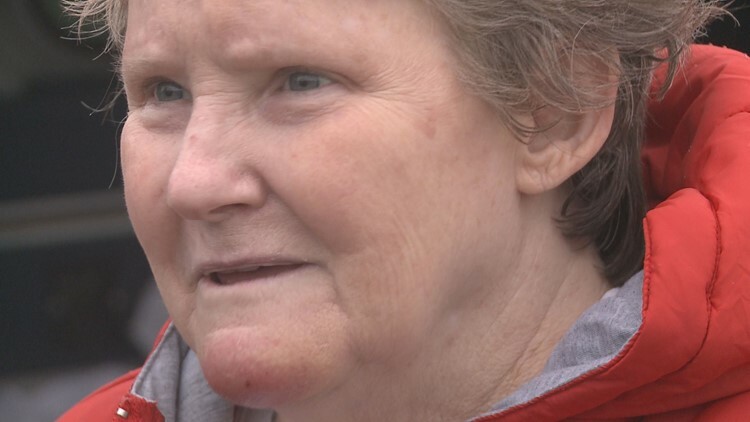 She suffers from Ehlers-Danlos Syndrome, an inherited connective tissue disorder, and needed a flight from College Park to Richmond. Compassion Airlift has stepped in to help her many times before. Harris is one of many patients who use the service. Pearson said they’ve helped dozens of people, of varying ages. Douglass said the job helps give perspective.